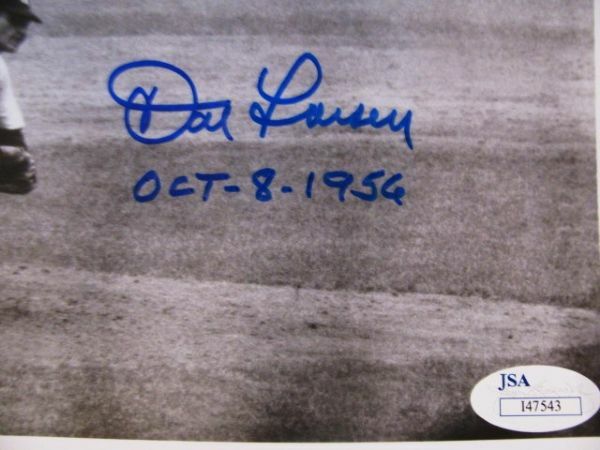 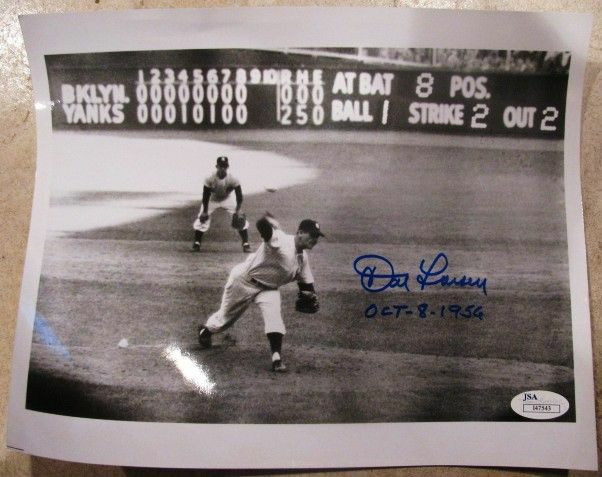 Don Larsen Signed Perfect Game 8" x 10" Photo. He signed in blue marker and added Oct. 8th, 1956. 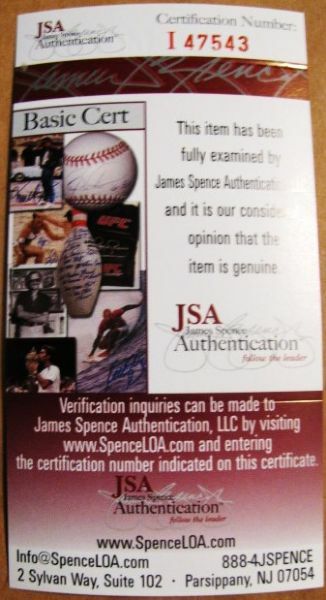 It comes with a COA from (JSA) James Spence Authentication.